Home » Blog » Need Hashtag Help for Facebook? Need Hashtag Help for Facebook? Hashtags, long common on Twitter, have come to Facebook. If you haven’t spent much time on Twitter or any other social network where hashtags are common, you might be wondering exactly what they are and how to begin using them. For starters, here’s an excellent explanation of hashtags from Beth Kanter: What are the most effective ways Nonprofits/Foundations can use Twitter #hashtags? Bear in mind that although the article focuses on Twitter, the definition applies to Facebook too. Now that you have a sense of what hashtags are and how they’re used, you’d probably like to know how to identify strategic hashtags to help get your content out to a larger audience. 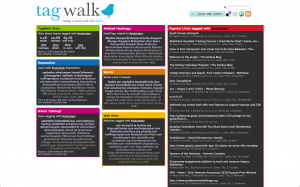 Identifying strategic hashtags is a breeze with TagWalk, a free online tool. To use TagWalk, simply enter a term in the search query on the top right. Enter a term that’s related to what your organization does such as “nonprofit,” “literacy,” or “environment.” TagWalk returns related hashtags, sites related to your search term, and more. 30 Super Useful Nonprofit Hashtags – Twitter Chats, Too!